Fun 2B in First: Free Items on TPT! After talking with some blogger friends I have decided to make the freebie items that I post about on my blog forever free rather than just for a specific period of time. I have changed the prices on my TPT store. 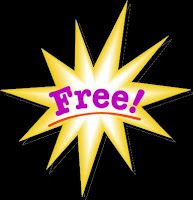 Click on the Freebie link to see those blog posts that include freebies.